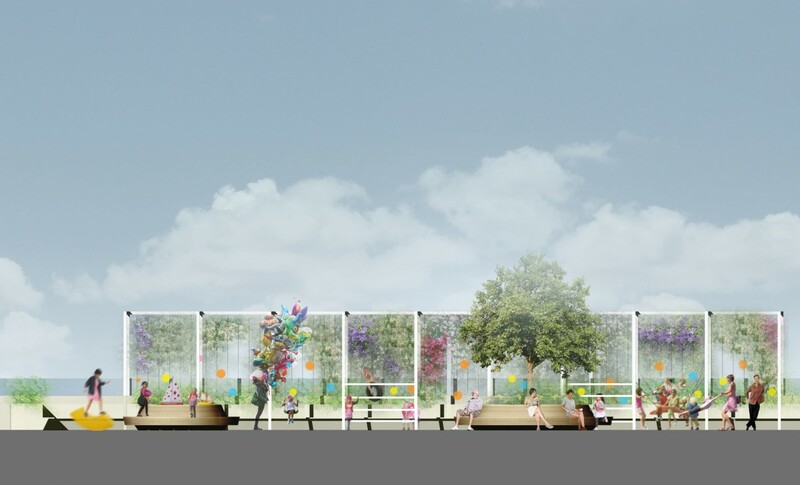 The site is located within the heart of the Nine Elms Masterplan. 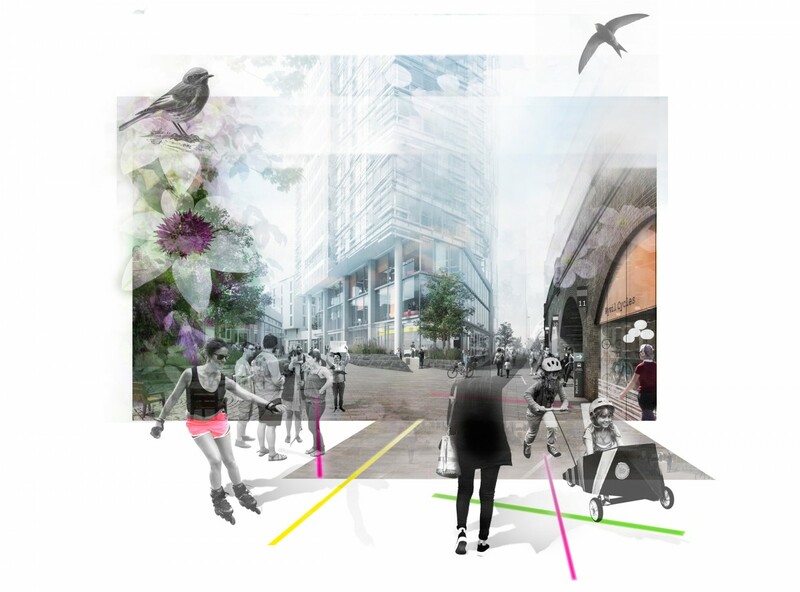 Spacehub have designed a scheme which delivers significant open space both on and within the 36 storey tower building, providing a generous amount of amenity area when considering the site’s modest footprint. 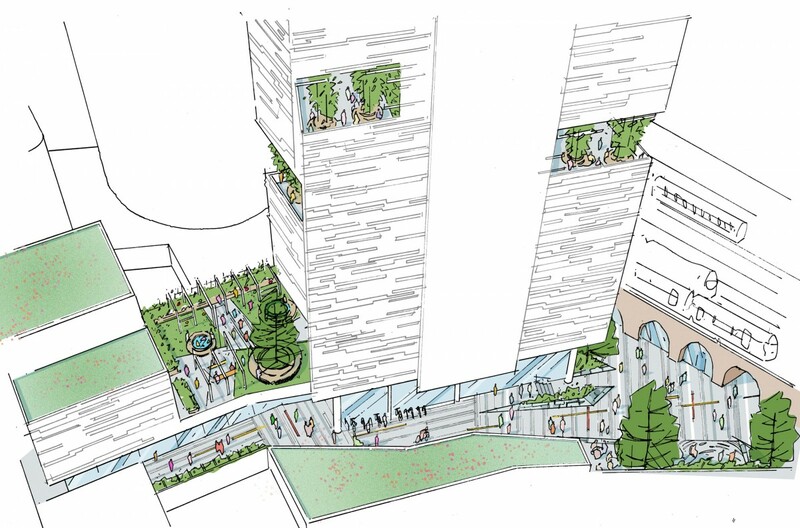 Five ‘Sky Court’ gardens, inset into the building, provide accessible green spaces for residents and define the building’s identity. 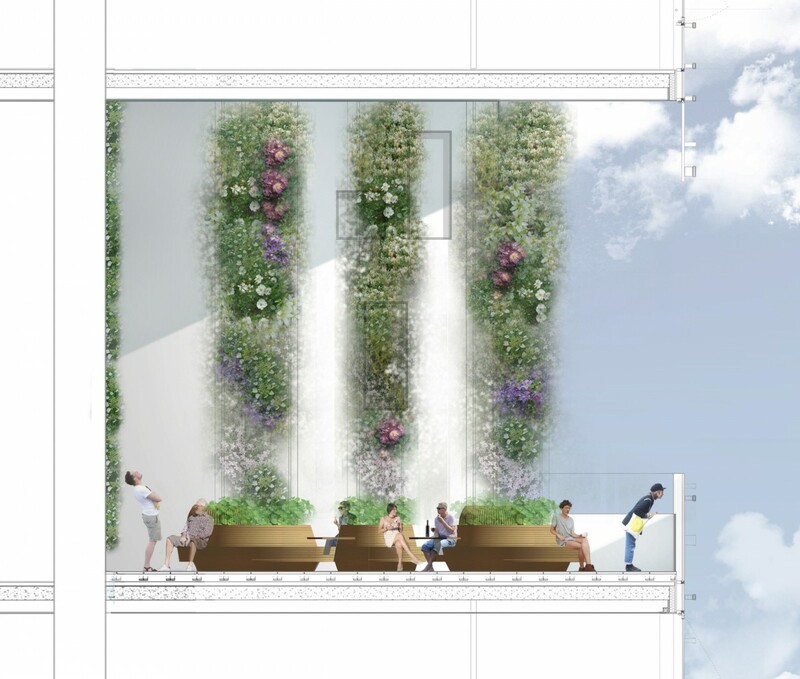 Further open space on the roof top gardens provides play, seating and planting amenity for residents. 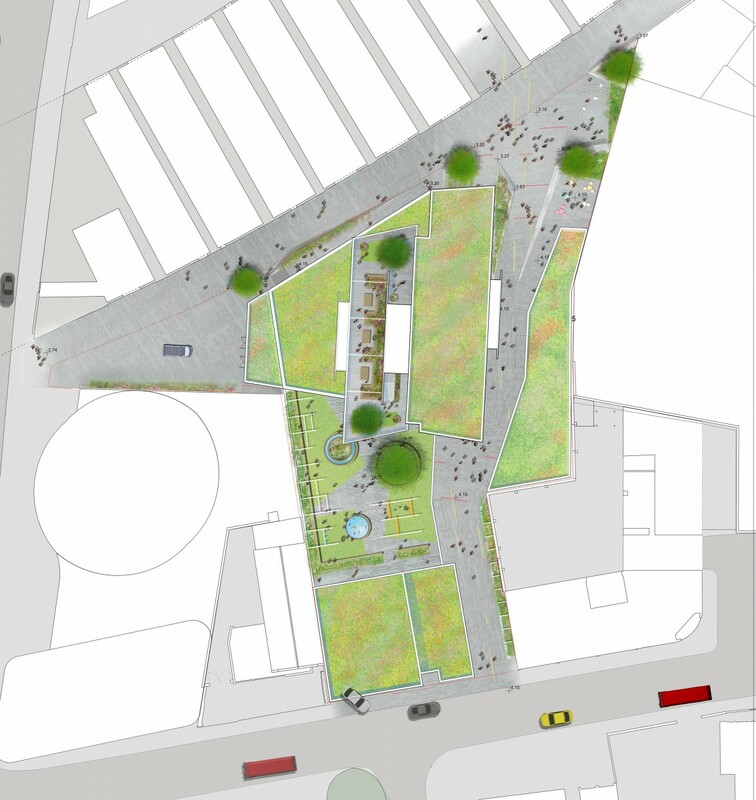 At ground level our design for a new square reveals an elevation of occupied railway arches, whilst providing connections across the site. 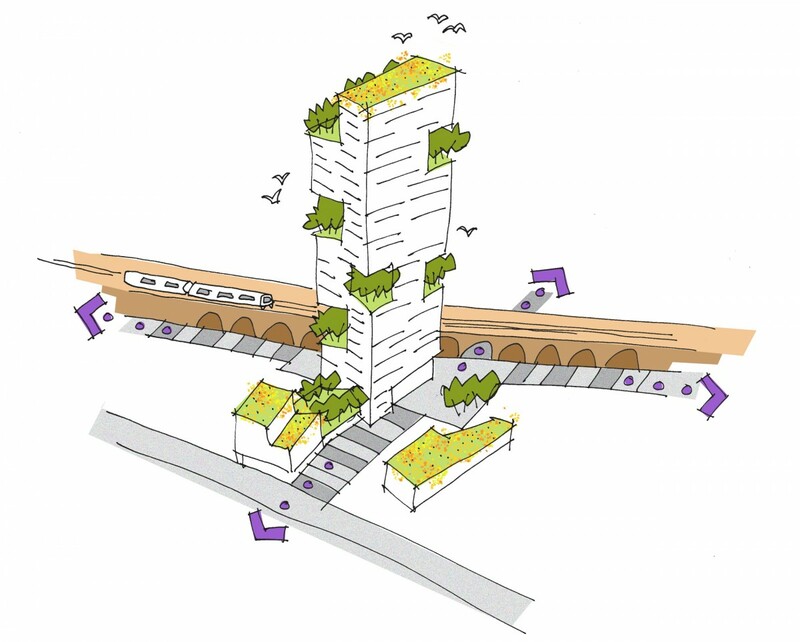 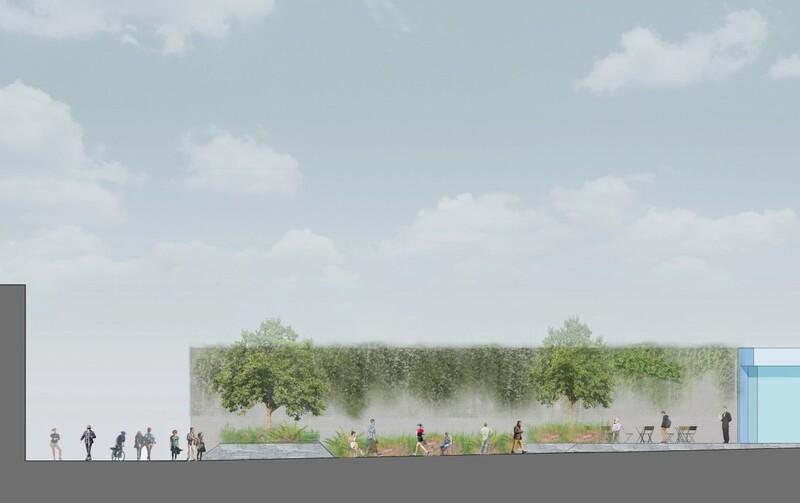 Planting throughout has been chosen carefully to deliver both amenity, and enhance biodiversity.